Since 1984, ABLE Asphalt, Inc. has provided quality commercial and residential asphalt paving in the South Coast. 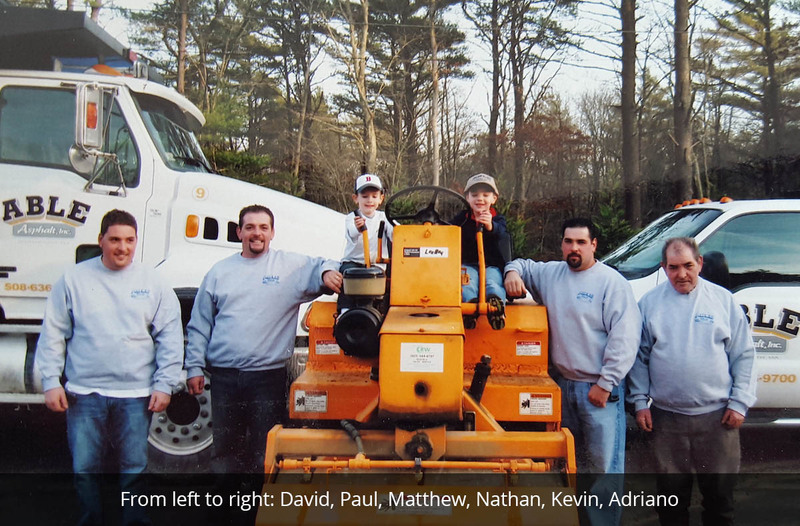 Owned and operated by the Lima Family, we are a second generation asphalt paving company in Dartmouth, Massachusetts. Our crew specializes in all phases of asphalt work, from making minor repairs to brand new asphalt installations. We also provide removal and replacement of entire driveways, walkways, roadways, and parking lots. No paving job is too big or too small for ABLE Asphalt, Inc. We will be happy to make repairs to your existing pavement area or create a beautiful new driveway, parking lot or road, according to your needs and specifications. Our crew is very professional and dedicated to providing top quality work. We take pride in our ability to provide excellent customer service from the very first phone call to the end of your project. Your driveway is our Business / Quality work at reasonable prices. Our entire team is knowledgeable and experienced in all aspects of paving. Our services can include the removal of old materials, re-grading with gravel, compacting the asphalt, paving the base, and putting down the top coat. We offer our many years of professional advice and experience to our customers when we consult on a job so that they can make more informed choices from start to finish. Your satisfaction is our number one goal. For over 30 years, ABLE Asphalt, Inc. has provided quality asphalt paving and landscape installation services to our customers in the South Coast area. Our expertise and dedication in the field of paving, along with our knowledge and understanding of local regulations for commercial and residential projects, makes ABLE Asphalt, Inc. the right choice for your next paving project. 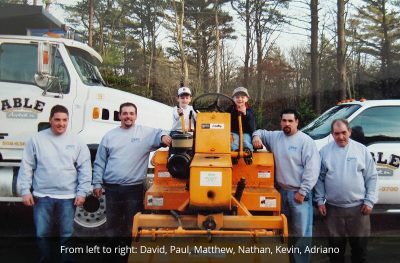 The late Adriano Lima (founder of Able Asphalt, Inc.) proudly worked side by side with his three sons. He was an amazing man and will forever be missed. At ABLE Asphalt, Inc., your satisfaction is our number one goal! Whether you require repairs made to your residential driveway or need a brand new parking lot for your retail store, our crew can provide you with the quality workmanship and professional service required to get the job done right. Give us a call at 508-636-9700 to get a FREE ESTIMATE for your project.